It’s almost Cinco de Mayo, and who doesn’t love Mexican food?! Everyone has a favorite dish. Whether you prefer Mission-style burritos or chimichangas, when the flavors of Mexico are on the menu everyone’s happy. This year, let food teach your office about the culture south of the border. Although Cinco de Mayo is as American as Apple Pie, your menu doesn’t have to be. Support some of your local Mexican restaurants, and enjoy authentic eats at work. Here’s what to eat this Cinco de Mayo. You can never go wrong with a classic. This Cinco de Mayo combine the all-around favorites with fun, holiday exclusives. No matter your preference — whether its build-your-own, gluten-free, or vegan — these Mexican standards are customizable and ideal for large parties and meetings. Try these classics for a special office breakfast, lunch, or dinner. Tacos — Don’t overlook the most recognized of all Mexican food staples: tacos! Feeling creative? Have tacos for breakfast. 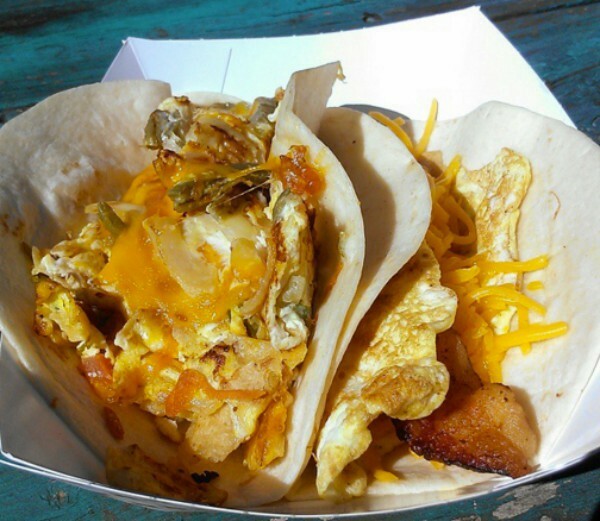 Maria’s Taco Express in Austin will have offices talking about their breakfast tacos all week and into the next. Chips, salsa, and guacamole bar — Chips and salsa are the perfect party food. Take it up a notch and add toppings like chicken, jalapenos and refried beans to your chips and salsa bar. You will turn this classic into a tasty and fun way to celebrate the holiday. Don’t forget the guac! 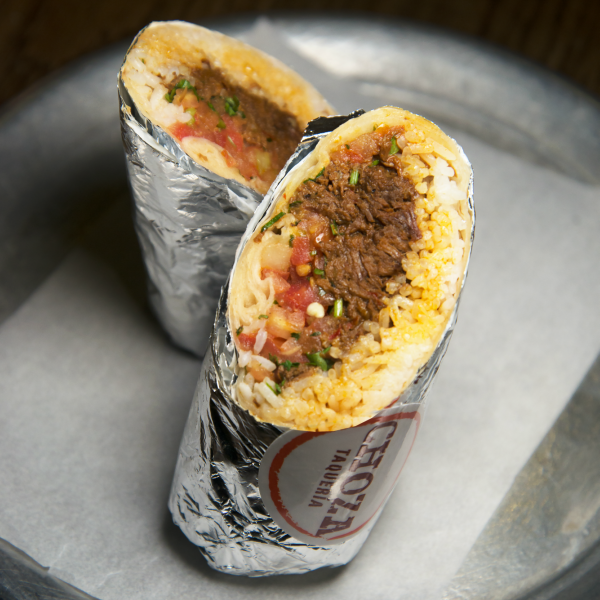 Burritos — Barbacoa burritos like those found at our restaurant partner’s Choza Taqueria in NY are loaded with flavor, filling, and sure to please your group. 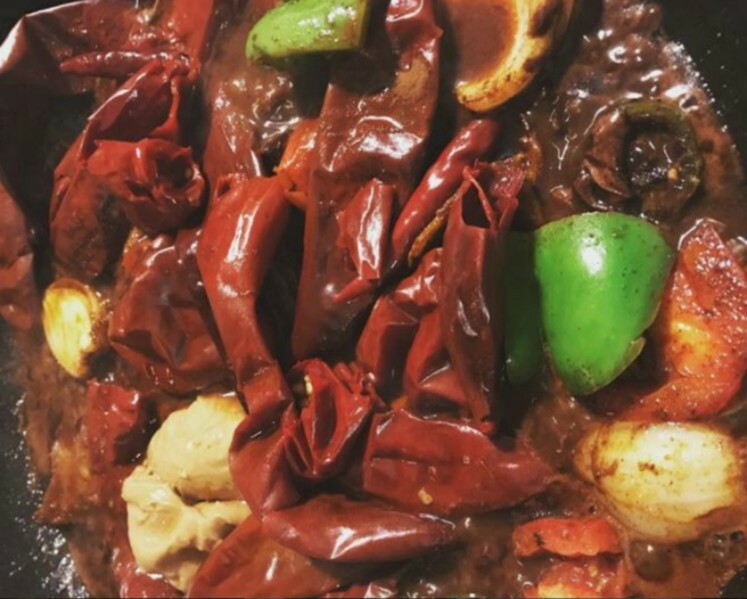 Chicken Mole — TrukQuitos’ rendition in Los Angeles includes a homemade sauce that takes hours to prepare and is loaded with hot chiles. Paletas (Mexican Ice Pops) — Real fruit juice and fruit pieces make these popsicles better than your average. The milk-based versions like dulce de leche and coconut are just as delicious. Sometimes you just want to indulge in a reimagined staple or celebrate a colleague on their work anniversary with a creative treat. These Mexican-inspired recreations are perfect for any occasion. Buttermilk Pancakes with Panela Syrup — Boston’s La Qchara offers a decadent stack of buttermilk pancakes topped with a Mexican, unrefined whole cane sugar syrup. Margarita Cupcakes — Hollywood Baked Goods’ vanilla cupcakes infused with lime zest, lime oil, lime juice and real tequila will have offices in Seattle buzzing about Cinco de Mayo. 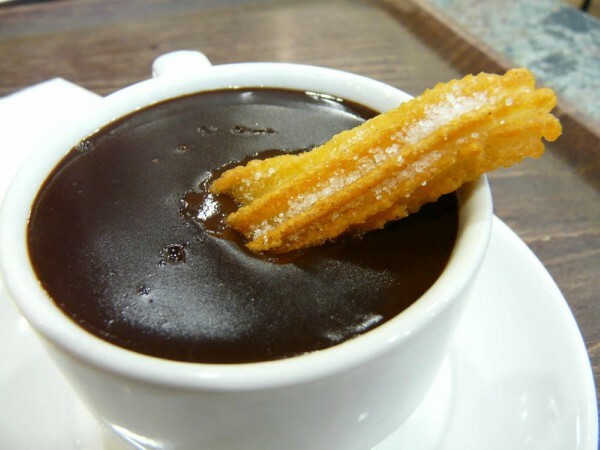 Bavarian cream-filled churros with chocolate dipping sauce — Have a sweet tooth? The churros at Guerilla Catering in San Francisco are covered in cinnamon, sugar and filled with Bavarian cream. Did I mention it’s paired with a chocolate dipping sauce — what’s not to love? Michelada (Mexican Bloody Mary) Bar — Some offices would rather cut to the chase. If this sounds like your workplace, a michelada happy hour may be the option for you. Mexican beer, lime juice, assorted sauces, spices, and peppers. A true meal in a glass with or without the beer and an extra shot of tequila. There’s no easier way to get the party started than through food and drink — whether it’s an office happy hour, festive breakfast, or a surprise treat! Leave the food and drinks to us and get your office in the Mexican spirit!